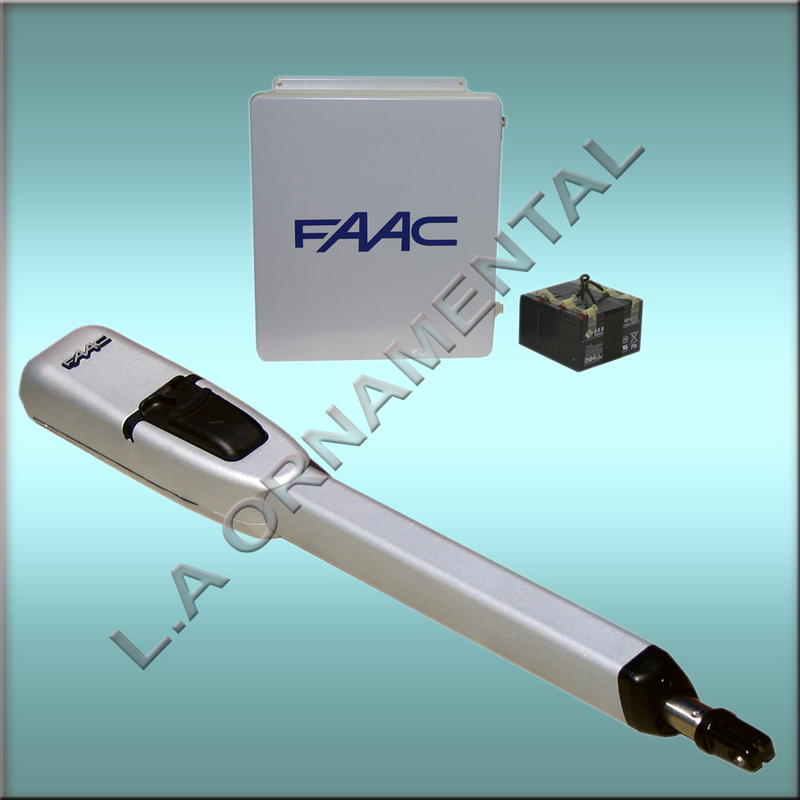 This is the FAAC 415 (1044182.5L) 115V swing gate opener (also known as a FAAC swing gate operator or FAAC swing gate motor) from FAAC Gate Operators. This swing gate opener should be used to convert a single kit into a master/slave or bi-parting system, or as a replacement operator for an existing FAAC 415 Gate Operator System. The FAAC 415 is for use on gates with a max length of 15 feet and a max weight of 700 lbs per leaf. 25 Cycles per hour. Purchase with confidence, knowing that FAAC Gate Operators are built to produce the longest life, most reliable and safest opening systems on the market. drives a worm screw housed in an aluminum casing. ∗ The site is subject to strong or very gusty wind In two-operator gate installations, both (master/slave) operators are wired to one control panel. The electronic control panel is a microprocessor- based controller that accepts a wide range of product accessories and reversing devices, thus allowing for flexible gate system design. Also for the protection and proper operation of the 415 Operator, each operator has built in limit switched so positive stops are not needed. necessary during installation and useful during prolonged power failures.